Our Hethersett office was opened in 2005 and, with the support of the local people, we have been readily accepted into the community. We continue to build on these relationships though sponsorship of local events and organisations, and of course serving the bereaved families of Hethersett and the surrounding areas in a way that only a family business can. The style and layout of the premises is warm and comfortable. Ivan was born and raised in the village of Horsham St. Faith, near Norwich. Upon completion of his exams he considered a career in agriculture like his grandparents, but following a short spell on the farm felt it was not for him. It was then that a trainee’s position became available at a Norwich funeral directors. Beginning in the company’s workshops, his first two years were spent gaining an insight into the funeral business, after which time he studied for the Funeral Director’s Diploma and successfully passed. The remainder of his time was spent as a funeral director arranging and conducting many, many funerals. For much of his time there he was very happy. However, late in 2003 the business changed ownership and he became very unsettled. Working for the new company made him realise that having his own business where he had the freedom to make his own decisions day to day, and also remain working personally with the clients would give him much greater satisfaction and so in 2005, Ivan opened his first funeral home in Hethersett. Jon joined the team in 2008 as a part time Pall Bearer, and has since become an invaluable asset to the business. 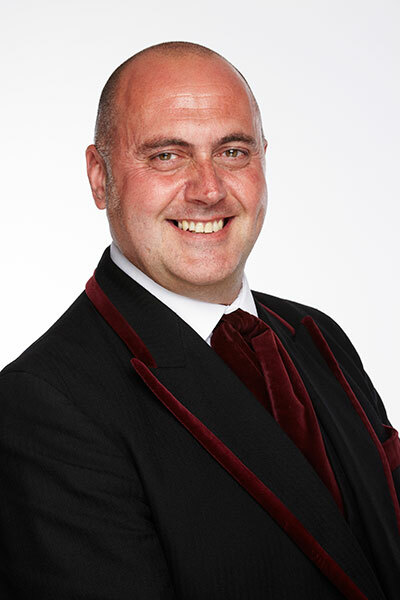 Now a full time Funeral Director, he also works ‘behind the scenes’ organising and undertaking mortuary work. Jon lives in the village of Hethersett and should you call into one of our offices, he will often be available to help. Sid, a retired Police Officer, joined the team in 2013. He works part time as a Mortuary Technician and is responsible for the maintenance and upkeep of our fleet of vehicles. Sid lives with his partner in North Norfolk.